remarks Kenrick (1998b: 56). 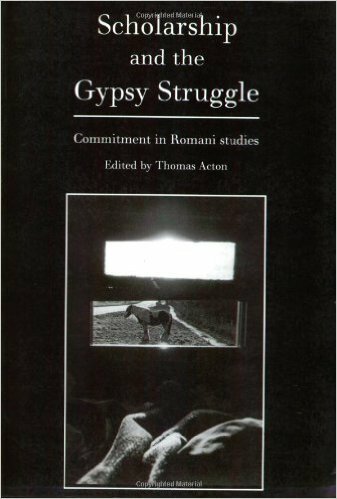 Any theoretical charting of its history, however, requires an analysis of how the strengths of Romani culture expose and provoke the pathologies of European culture; that is, a recognition that if we are ever going to transform ‘swords into ploughshares’, we are going to need smiths. The Roma are one of the very few linked constellations of ethnic groups who have gained definition as a people or Volk, without going on to build a nation-state. They might, in the sense that Christoph Türcke (1992: 137) speaks of a Jewish “culture of expectancy”, be said to have a culture of ‘wait and see’, a culture which has given them the strength to survive centuries of migrations and persecution. Our present-day society, enlightened as it is, has a technological capacity which carries with it a full set of options for self-destruction. The culture that maintains this capacity requires the imposition of industrial-strength discipline. A comprehensive governmental system, usually in the form of the nation-state, has to be built, and once in place its rules have to be enforced, again and again, in an exemplary fashion. So, day by day, humanity works to strengthen the structures of its own repression, and fails to make use of the possibilities that our productive capacity offers us to reduce poverty, or to overcome hunger and disease. Our niggling awareness of this failure, whether conscious or subconscious, may be the reason why we ostracise those who are not complicit in the modern state, whether because they are marginalised or because they remain deliberately independent in their cultural and social organisation. Herbert Heuss: "Anti-Gypsyism research. The creation of a new field of study."